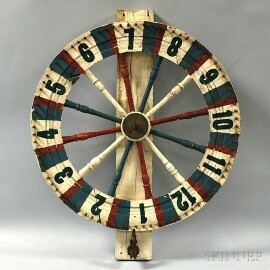 Polychrome Game of Chance, the wheel, numbered one through twelve, with bands and spindles of red, white, and blue, ht. 23, dia. 20 in.